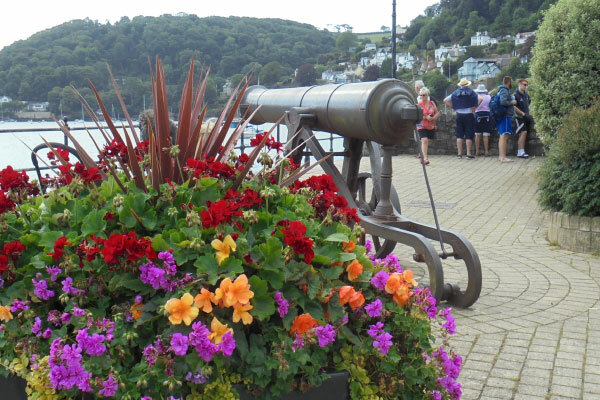 Dartmouth Green Partnerships is a charity run by volunteers which creates and looks after many floral displays and green spaces in Dartmouth and also assists the council’s gardeners. 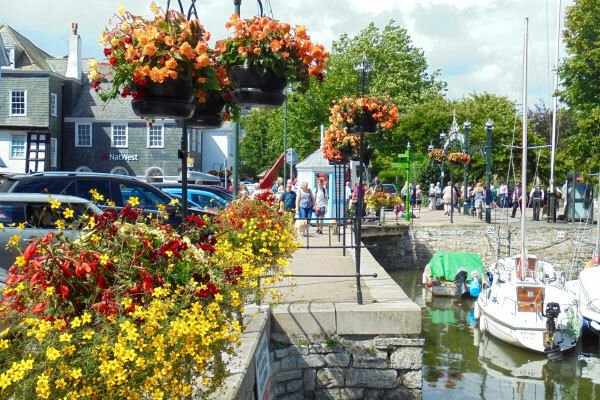 The colourful displays and sustainable planting are an important attraction to visitors as well as residents, helping improve the economy of the town. We work with Dartmouth Town Council and South Hams District Council which give us grants. There are 120 hanging baskets in the town during the summer and early autumn for which we obtain plants and grow them on. The Brownies help us plant these up each year. We also help them gain their Gardeners’ badges. 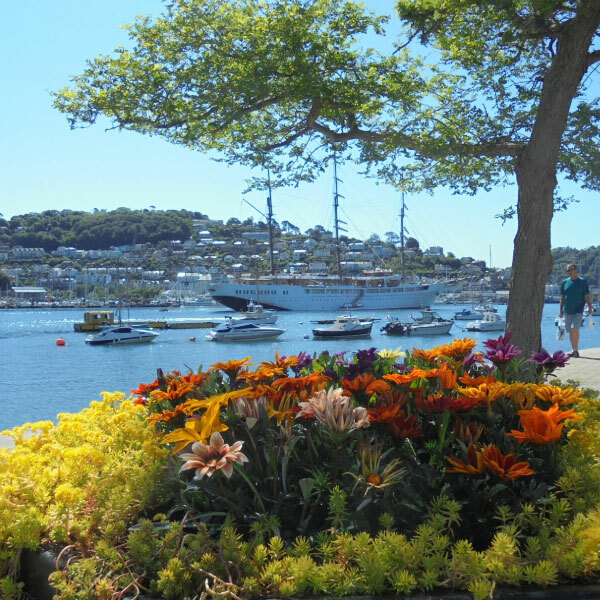 We plant the troughs around the Boat Float, along the Butterwalk in Bayard’s Cove and along the river front and the many floral boats in Dartmouth are planted up and cared for by us with seasonal variations. A major current project is fundraising to build the new Dartmouth Community Greenhouse – a pyramid shaped structure which will become an attractive feature of Royal Avenue Gardens and a community asset. The site is a compound with, at present, a small temporary greenhouse and sheds on the riverfront site at the corner of Mayor’s Avenue and the North Embankment. It will be a new, important tourist attraction – another reason to visit Dartmouth, and thus will help improve the local economy. We will use it to raise plants for use in town displays, and it will also become a Centre for Horticultural Excellence for use by different groups linking health and horticulture for all ages. The generous award of a £20,000 from the Postcode Local Trust, a grant-giving charity funded entirely by players of People’s Postcode Lottery, mean that in addition to generous local donations we have raised more than £33,000 so far out of the £120,000 we need. Next to the greenhouse site is our Potager, with raised beds used to display vegetables and flowers for cutting. Our Floral Promenade connects many of our plantings along the river front, from the planted boat at the Higher Ferry, via the hanging baskets, troughs and planters, to the Lower Ferry. In 2016 our major project was an English Cottage Garden in Royal Avenue Gardens which we designed and planted. The site was prepared with the help of Naval cadets from BRNC and we planted a wonderful range of traditional flowers. In 2015 the Japanese style garden in Royal Avenue Gardens was created on a dry difficult site beneath a huge monkey puzzle tree. It has a bright red ornamental bridge made of reclaimed oak. A “river” of Japanese plants, including hostas and painted ferns flows beneath it, decorated with rocks and gravel. People coming into town by road will pass our displays in the Welcome Beds – a mix of sustainable planting in borders and seasonal displays. Along the verges and down College Way thousands of daffodils and crocuses form rivers of yellow and purple in the Spring. At the bottom of College Way is the triangular Anchor Bed which we have planted with a stunning display of special xerophytic plants. See our website: www.dartmouthgreenpartnerships.org.uk for more information about what we do and how you can help us – with sponsorship or as one of our team of volunteers. Our volunteers raise many of the plants we use or grow them on from plugs, and we plant out and maintain our displays, watering and deadheading. They change with the seasons so there is always lots to do and enjoy.